Whether you are a table tennis website, a large network, or blogger, we have simple tools to help you monetize your website. Become an Uberpong™ affiliate and earn up to 10% commission with the coolest ping pong brand in the world. You don't need to be a web master to take advantage of our tools. From simple cut-and-paste to easily signing up for our affiliate program - there are many easy options. 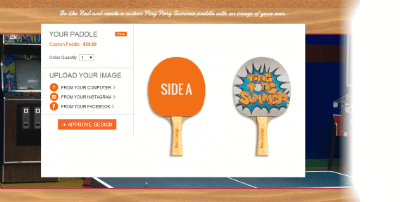 Adding the Uberpong™custom paddle editor to your site is easy and it integrates with most e-commerce platforms. Smallest functional dimensions are 1170 x 670. 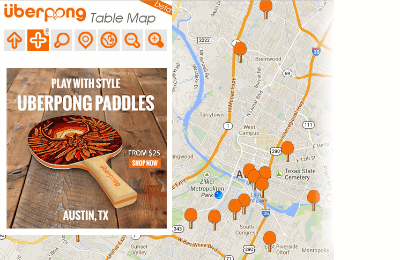 Make it easy to add or find the best ping pong tables near you with the Uberpong™Ping Pong Map. Click below to get the embed code to add to your site.